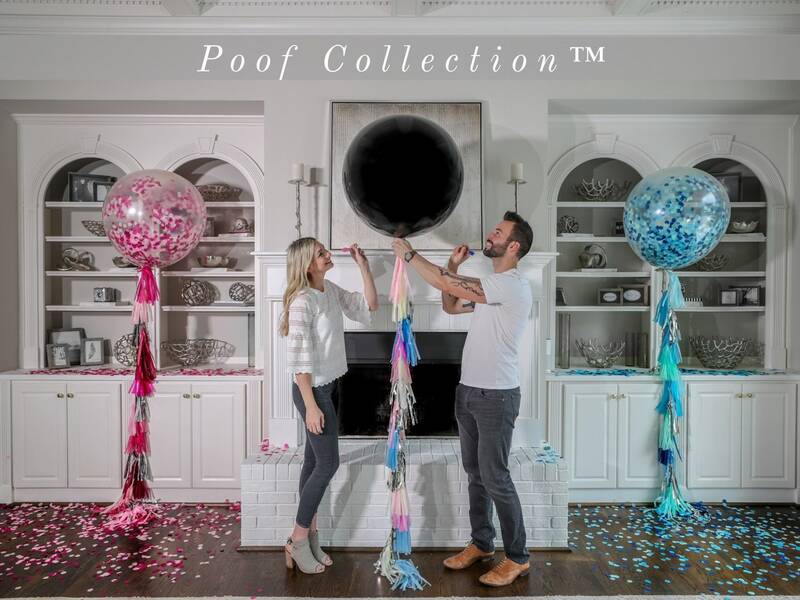 After seeing how cheesy and cheap gender reveals have evolved, Jon and I decided to design collections that bring tasteful products & décor to your special reveal. 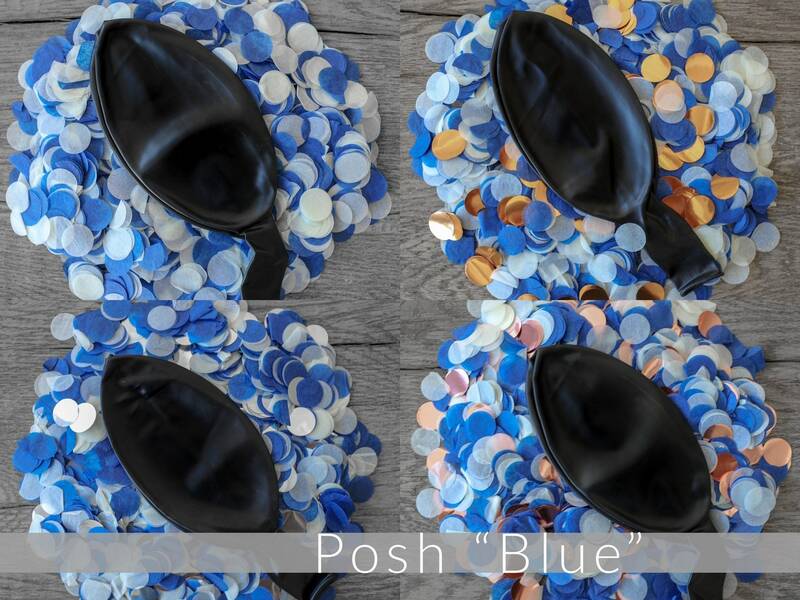 The Posh Collection™ is a Voguish palette of a sharp midnight blue and blush that gets you away from the basic neon pink and royal blue. We designed unique color combinations that make your pictures stand out! The exclusive circle confetti design of our cannons adds class and continuity to your reveal and Posh Collection décor. 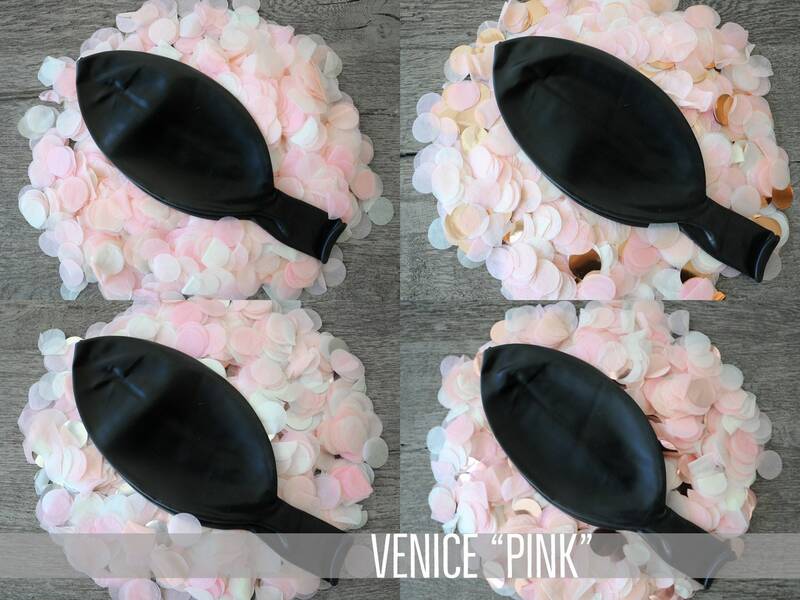 The color rich pink combination consists of blush, peach, ivory and silver or rose gold. 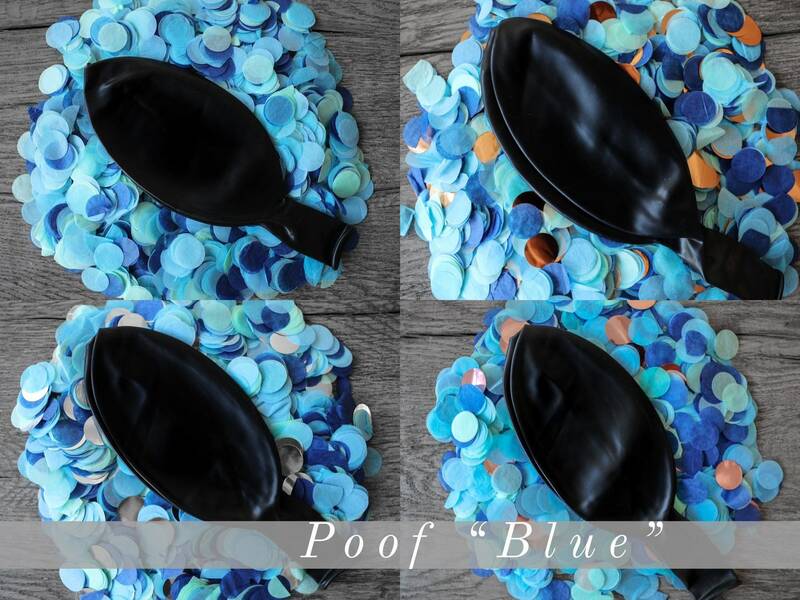 The edgy blue combination consists of Midnight Blue, Ivory, and silver or gold or Rose Gold. We also designed a mix of both colors. Perfect Decor for the Designer at Heart. 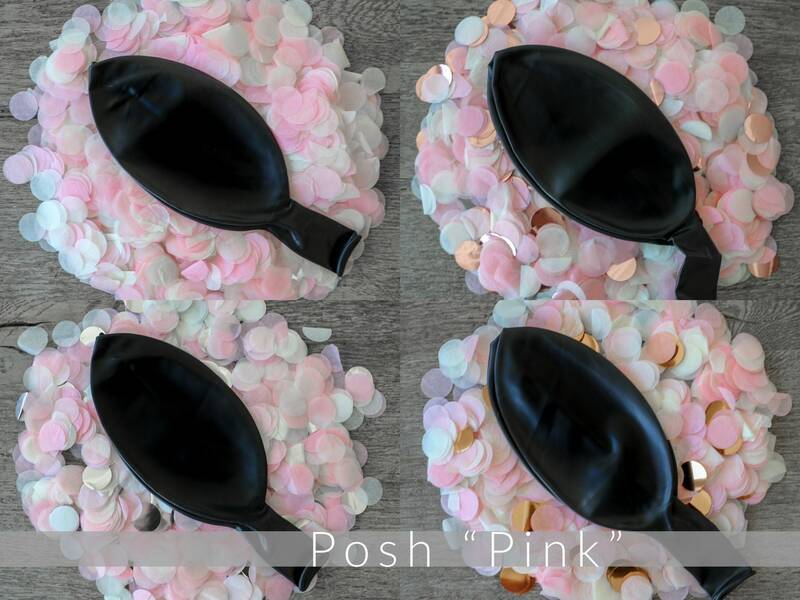 ⚤ Search "Posh Collection" to see more from this Collection! Be The Designer of Your Unique Gender Reveal! 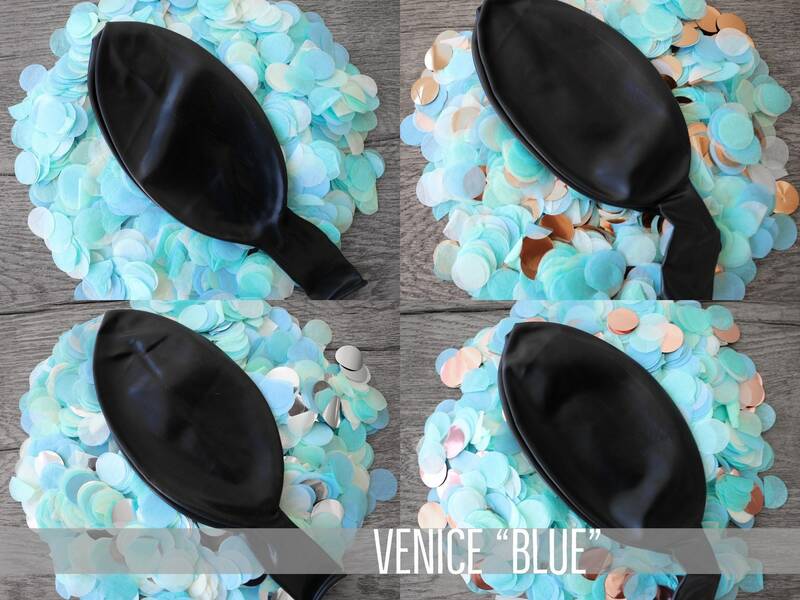 Black Balloon and the selected combination of confetti under "Confetti Color"
The selected accent color under "Accent Color"
Balloon can be filled with ether helium or air. We used household vacuum on blow to inflate the balloon which is a fast and cheap way to get the desired look. When doing helium put less confetti in the balloon in order to ensure desired float. The confetti combination can be filled in any desired look. 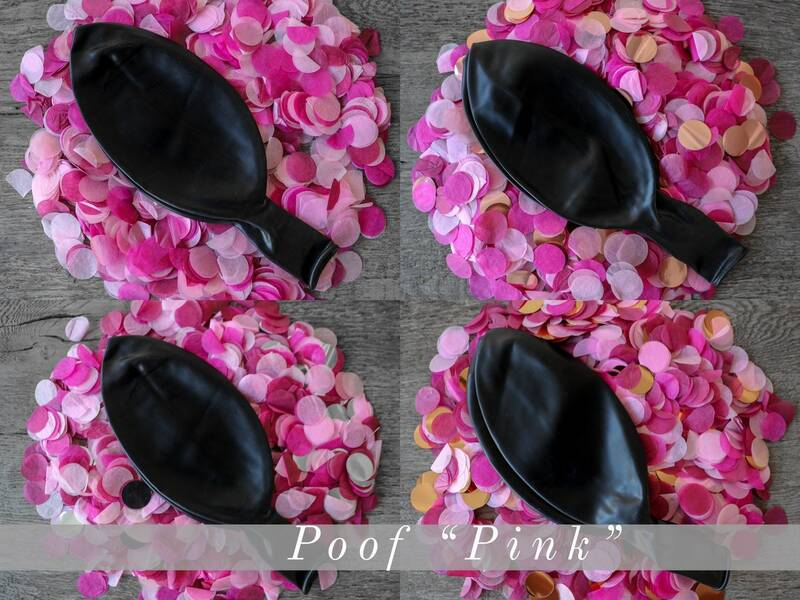 For example you can put one color in each balloon or you can mix the confetti and fill the balloon with a collage of colors. We used a empty toilet paper roll to fold the balloon open while we insert the confetti.